Negotiators from Canada returned to Washington, D.C. Tuesday in an effort to reach a deal on the North American Free Trade Agreement (NAFTA). Canadian Foreign Minister Chrystia Freeland joined U.S. Trade Representative Robert Lighthizer as the U.S. looks to wrap up talks with Canada quickly. However, talks are not expected the rest of the week with a looming hurricane along the Eastern U.S. and scheduled meetings for Freeland in Western Canada. 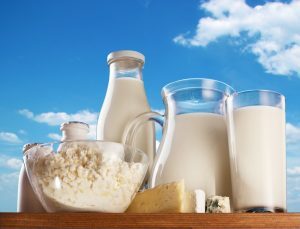 Reuters reports that officials say the main sticking points are Canada’s dairy quota regime, Ottawa’s desire to keep a dispute-resolution mechanism, and Canadian media laws that favor domestically produced content. That falls in-line with Agriculture Secretary Sonny Perdue’s comment earlier in the week, saying Canada must scrap the Class 7 milk program. Dairy trade was the focus of pre-NAFTA concerns more than a year ago from the Trump Administration. U.S. dairy wants more market access to Canada.